So you are a Note 8 user and you bought it from some network carrier i.e Cricket Samsung Galaxy Note 8 or AT&T Samsung Galaxy Note 8 that means you didn’t buy unlocked so you are tired of being tied to network carrier and want your freedom to choose any network anywhere and thinking how do I use other networks on my mobile, then you are at the right place. We can proudly say that now you can get your Samsung Note 8 at&t cricket unlocked permanently with us very easily. We present to you the most affordable and speedy network unlocking services, and our prices can’t be beaten. 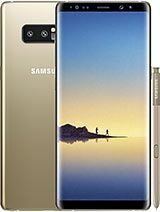 Samsung launched many other galaxy models in 2018 in USA which is network locked on Networks like AT&T, Cricket USA, T-Mobile USA, MetroPCS, Xfinity etc.Galaxy models have awesome features collate to other Brands within this price range but to use other networks SIMs on these Galaxy models you will need unlock cricket code or unlock app to unleash its true power.you can unlock Samsung galaxy note 8 and other unlock Samsung galaxy models in very reasonable rates. If you have bought your phone from T-Mobile USA Network then you can unlock it through Official Unlock App by Ordering Unlock T-Mobile Samsung Galaxy Note 8 from here. You can also unlock Samsung Models other than Galaxy from here. How To Unlock Cricket Galaxy Note 8 by Unlock Code? The best solution for unlocking Cricket Samsung Galaxy Note 8 is by network pin code. Every phone has a 15 Digit unique identity number called IMEI number, and by giving us IMEI # you can get Unlock Network Pin for your Note 8, and by entering that PIN you can unlock cricket device. How To Find IMEI # Of Samsung Note 8? How To Order at&t Samsung Galaxy Note 8 N950U Unlock Code? Ordering this service is as easy as it gets. All you have to do is select the network your phone is locked on, type IMEI number of your phone and your E-mail address and press the buy now button. In the time stated above, we will carrier unlock cricket Galaxy Note 8 for you. How To Enter Galaxy Note 8 Unlock Code? Your phone will ask you for a SIM Network Unlock PIN. Enter the Network Unlock PIN you received from us. Since Samsung Galaxy Note 8 Unlock Code comes from the official database so there are no risks involved. You don’t need to install any crazy software or application. Your data will not be lost during or after this. The whole method of will be done remotely. Everything about risks we have discussed risks involved in the unlocking process. You don’t have to pay roaming fees if your phone is unlocked. Unlocked Samsung attract more buyers. We have discussed the benefits of unlocking your phone here. Why Unlock Cricket Samsung Galaxy Note 8 With Us? With LetsUnlockPhone.com, the whole process is simple easy and hassle-free. You will get 24/7 and fastest customer support through emails, chat and facebook. You don’t need to have any prior knowledge of unlocking. Unlock Code will not damage your phone in any way. We are specialists when it comes to unlocking any phone with unlock code (such as at&t, Cricket, Rogers, fido, Bell, Telus etc) whether you have phone from USA (like at&t, Cricket, etc) or Canada (Rogers, Fido, Bell, Telus, Fido, Koodoo, Videotron, etc). We don’t unlock security lock on Cricket, AT&T or other phones, we only unlock Samsung GSM sim network lock imposed by at&t or other networks (like Cricket, AT&T, Rogers, Fido, Bell, Telus etc) on your device. You can check specs of Galaxy Note 8 from here.